Do you love the library and your librarians as much as me? 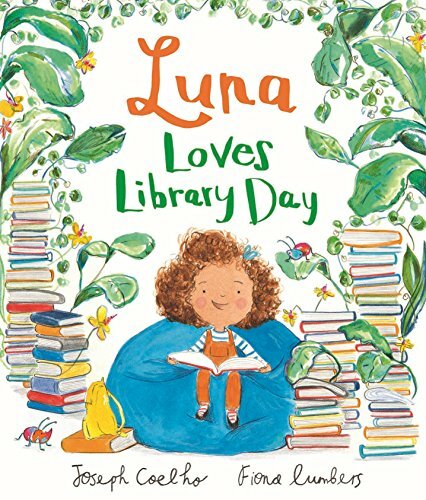 Celebrate the library and the wonderful librarians who work there with these memorable picture books that do just that. Make your library trips extra fun. Go here to download a free scavenger hunt. 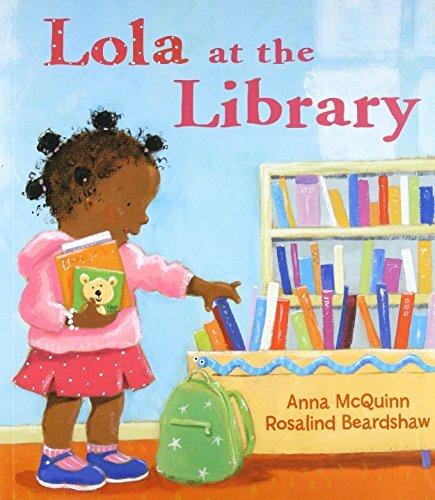 Click here to download a printable list of picture books that celebrate the library. Elizabeth loves books. Books, books, books! Soon her book collection has outgrown her house. She solves this by making her home a library — and moves into a friend’s house. 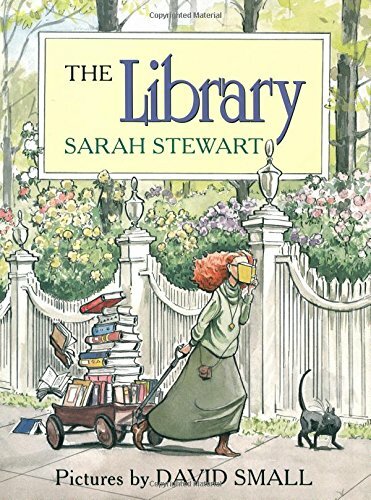 I’m enthusiastic to any book that celebrates the library like this does! It’s time for story time. 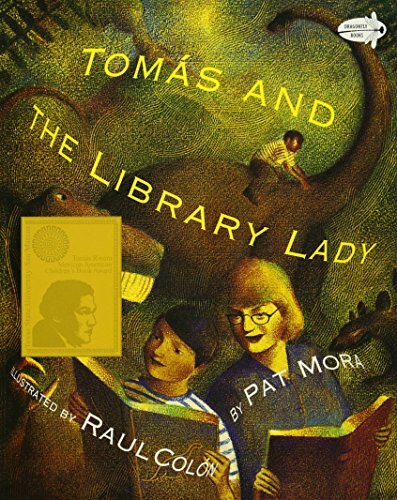 Rita, the librarian, helps everyone feel welcome and interested — today’s a birthday celebration for the library. First they read several books about parties and then the kids share a birthday cake. Then Rita helps Evan find a book about rocket ships and space. 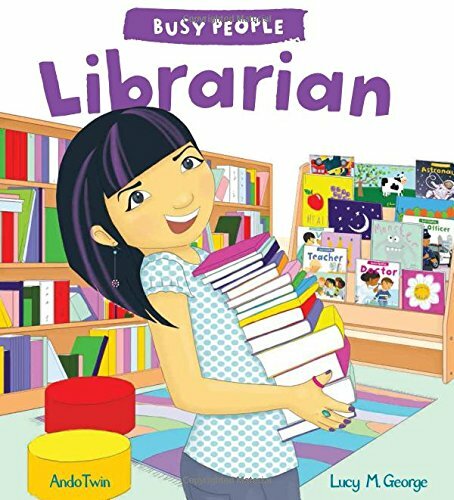 Learn about what a librarian does as well as other busy people that librarians work with such as authors, teachers, and parents. 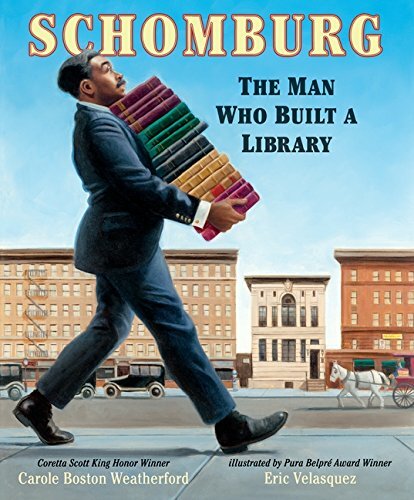 During the Harlem Renaissance, Arturo Schomburg collected books about Africa. So many books that he eventually donates his collection to the New York Public Library. His collection is now known as the Schomburg Center for Research in Black Culture. 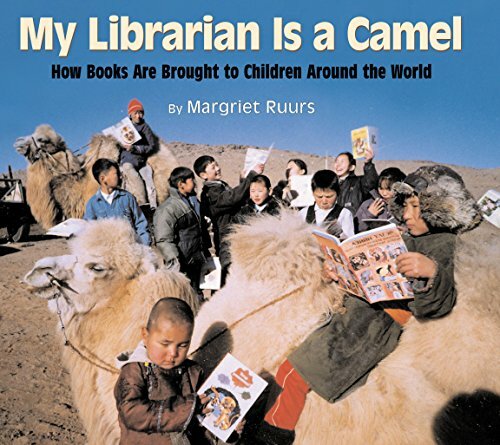 Some libraries, like in Ana’s village, travel to you on a four-legged animal. 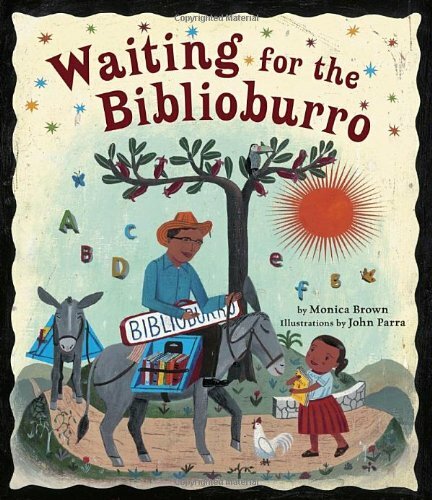 Ana’s library travels on two burros and brings her all the books she can read. Books educate and inform. That’s why in countries with many remote areas and no libraries, libraries travel to the people by bus, boat, elephant, donkey, and train. See for yourself in this celebration of the world’s most unique libraries! 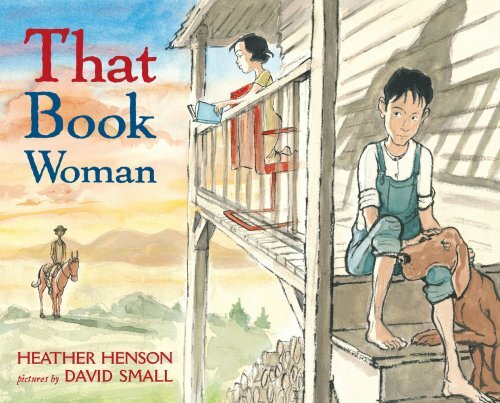 The Book Woman keeps bringing books to where Cal and his family lives in the Appalachian Mountains. After watching his sister read, Cal’s reluctance turns to interest and he asks her to teach him to read. What a sweet story of love and success learning to read! (Okay, I admit to shedding a tear or two. Because dogs. And books. 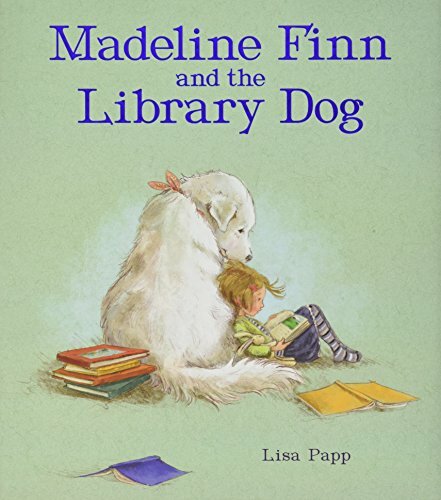 . .) Madeline really wants to be a better reader but reading just doesn’t click until she meets a beautiful, white dog named Bonnie who helps Madeline build her confidence in reading. Based on the true story of Tomás Rivera, the son of migrant workers. During the summer, a librarian helps him discover the wonder of books and stories. Because librarians can save the day… Doctor Glockenspiel is threatening to have his giant moth army eat ALL the world’s books. It’s up to Lyric McKerrigan (secret librarian) to stop him. 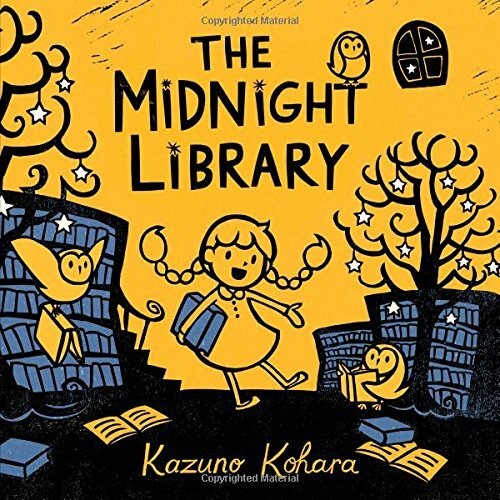 She sneaks into his hideout, disguised as a plumber, uses books to distract the guards, rescues the captured ninjas, and subdues the moths with …a story. Then, Doctor Glockenspiel is sent to the Depository for the Criminally Naughty where he can never harm another book! Captivating illustrations in yellow and blue tones show a little librarian and her three assistant owls who help their patrons find books. 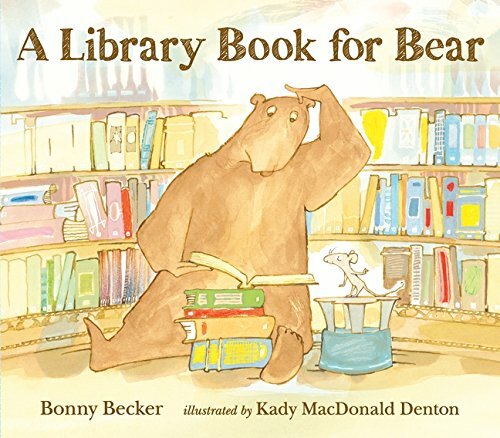 Mouse convinces his grumpy friend, Bear, to go to the library and he’ll find the right book. Bear gets more and more cranky as Mouse shows him different books. But will Bear change his tune when he hears the librarian? 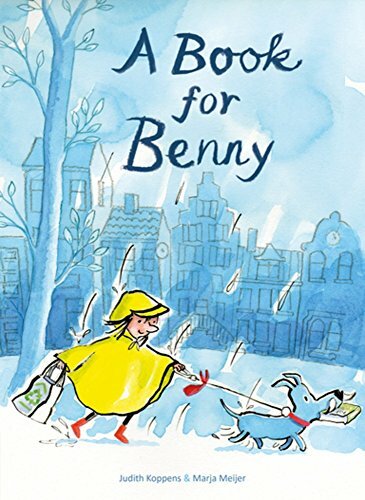 Sam wants to keep reading but her dog, Benny, wants to play. That’s why Sam decides to take Benny to the library and get a book just for him. It takes a few tries but she finds the perfect book — a cookbook on sausages. 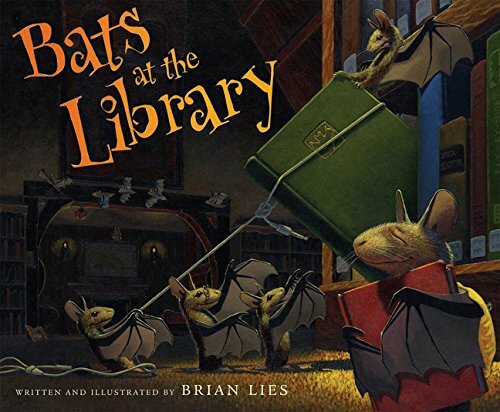 Book loving bats celebrate the library at night. 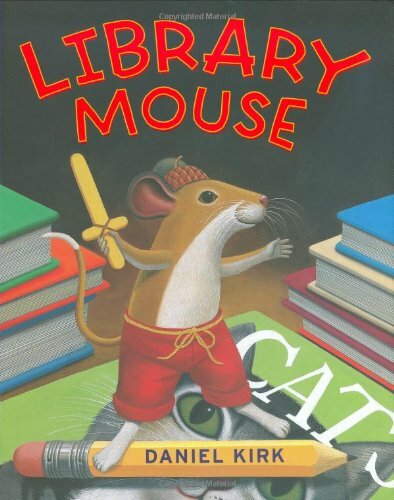 Sam is a mouse who lives at the library. He decides to write his own story. 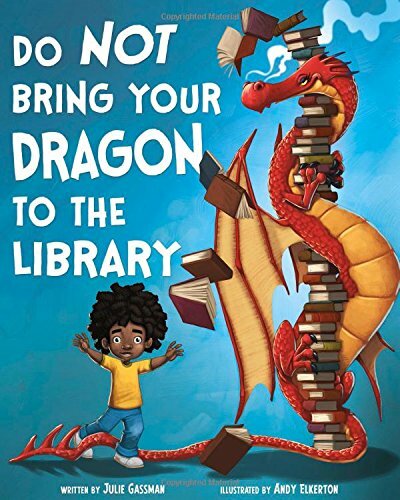 When a little girl and the librarian find it, they invite him to Meet the Author Day. 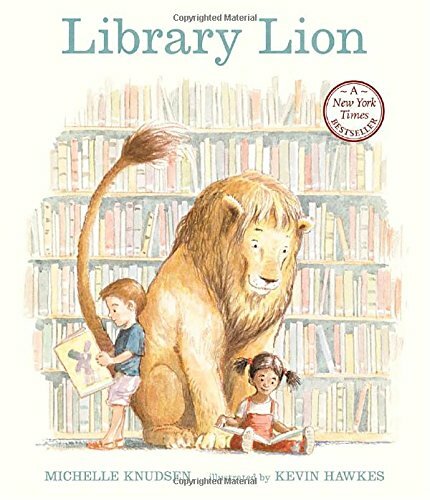 What rules should a lion follow when he visits the library? Not to worry, this lion knows exactly how to behave; he’s quiet and well-behaved. Except when the beloved librarian is in distress.